Whenever a fame-hungry individual is not successful in achieving his mission (the ultimate mission of richness) he/she resorts to blasphemy. That is the guaranteed knack for fame, according to their guide to prosperity. Blasphemy is the green card for wannabes. It works wonders for this category. Overnight the person may get approval for their application. However, terms and conditions are applied regarding the longevity and strength of fame. A person should be devoid of all talent but the talent of blasphemy. How many examples should I cite? Anyone heard of Irshad Manji? Maybe not. She tried her best with the book and campaigns and all…however, cruel luck didn’t turn her into her ideal, Salman Rushdie. Tsk tsk. Manji is a lesbian ‘Muslim’, who is sure that Qur’an needs some drastic changes to accommodate her kind besides other matters. This is the usual brainwave that brainless people get- sacrilege. Sadly, she didn’t garner as much wealth from the sales of her book, ‘The Trouble with Islam’ as she expected. (Hey, maybe the title is jinxed…some astrologer should advise her not to use dark terms like ‘trouble’ in the title). Her daily hate mail number was also low that denied her the VIP blasphemer status – bodyguards included in the package. In recent news Italian, unknown filmmaker Justin Sisely has emerged as the new blasphemy icon. In order to gain some quick bucks (poor chap is suffering from the economic downturn) he decided first to run a documentary projecting the two virgins, one male and one female, auctioning their virginity. That in itself is sickening to say the least, but that doesn’t end here. In a recruitment advertisement for his two ‘actors’ which featured the Virgin Mary with male genitalia drawn crudely on her forehead. The poster was later banned. Sisely declared he received death threats from angry Christians but angry Christians is not a juicy enough story for the media. So Sisely became wise and understood the waves of the current trend and thought, how about if I spice it up with some death threats received from the established terrorists – Muslims? The ‘adventurous’ filmmaker revised the recruitment campaign. 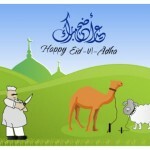 Now he is using illustrations of Muhammad (may Allah’s blessings be upon him) instead on the posters. Strangely, such acts of blasphemy are always backed up by ‘freedom-of-this-and-that-fighters’. 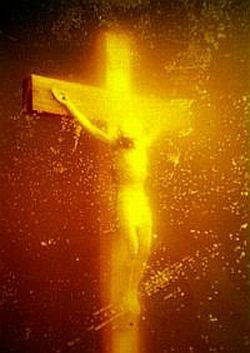 The American photographer, Andres Serrano, received laurels for his piece of art, Piss Christ. The model of this ‘artistic freedom’ consists of a small crucifix submerged in the madcap’s urine. Some years back, a Danish convert sister gave me a book, ‘The Clash of Fundamentalism’, written by Muhammad Tariq. She told me she was very shocked to know that such Islamophobes were present even in Pakistan. Her innocence about this matter was more of a surprise to me. In the beginning of the book Tariq tries to give as many examples as possible to convince the reader that he was a fully-fledged atheist since childhood. Then he reveals his attraction towards the sexual aspect of life, that too, since childhood. Like Rushdie and co. he considers there are many contradictory statements in the Qur’an. His prime complaint is that an unmarried girl is told to guard her chastity but a married woman is told that she should also take the initiative in sexual intimacy with her husband. That is just unfair, according to him. Honestly, the book is quite boring and one dozes off several times while reading it. One wonders if a controversial topic cannot be written in an interesting way then what’s left? The list of these lunatics will go on. But the problem here is that the strategies these hard times-affected people use is successful, at least, to some extent. Why is that so? Are we so vulnerable to their tactics? I am sure Muslims are the major contributors to the sales of their books. They buy the book, get emotional and then burn it publicly or privately. What is the point? Did we benefit from it in any way? We lose our money as well as temper with it. The best way to avenge them would be to ignore their stupidity. Hence, they would be at a major loss and would be made to look like themselves, i.e. hopeless idiots. Pervez Musharraf Protocol in U.K by Pakistan Government. Justified? @Irfan: i fully agree with you. as already stated the main purpose is to gain monetarily in this temporary life. I do not think any one in this world does not believe in the existence of God. At times of calamity even these atheists and their likes looks upwards and ask God for help. It is very natural to human beings to do so. Before entering the world, every human being had taken allegiance at the Hands of Allah (SWT) that Allah (SWT) is their Lord. Those who are obstinate will be at loss. I do not know if Rushdie or Tariq would want their daughters to lead a promiscuous life but sometime back I read an article in which Rushdie was talking about some new girlfriend. He said he does not believe in marriage and neither he does think any girl believes in the sanctity of marriage. All a girls want is a wedding day in their lives i. e., they are only interested in the event happening in their lives. It makes them feel special. Such people are very confused what to do. As they have ridiculed all decency in the world they would be humiliated if they go back on their words. Besides, they are always in fear of being slaughtered as well. What a life! All these above quoted statements are totally absurd and irrelevant and are crafted by Mr Rushdi himself. First of all if he wanted to quote anything from Quran or Ahadith he needs to quote authority, so formulating any logic without authority, is totally irrelevant. Moreover,no religion in this world preaches that a unmarried girl should not guard her chastity and should become a prostitute. I just do not know which religion, Mr Rushdi follows,even if he is an atheist, will he like his daughter to be a public property or would he like her to be married?? In my opinion the problem with all such writers is that they search and exploit particulars areas in Islam or for that matter any religion just for acquiring fame and wealth. 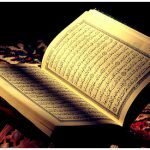 Islam is such a comprehensive religion that its encompasses all facets of life.All these writers have not done any research in Quran and Sunnah.Islam does not forbade dialogues,if they are satisfied with the answer of one scholar they can always discuss the same issue with another one.But all these writers seems to be over obsessed with sexual aspects only. 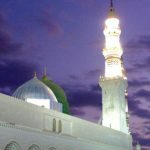 The aim of all these writers is to ridicule the Prophets(peace be upon him) as they do not find any flaw in his personality so they try to attack him on trivial issues,by wrongly interpreting the verses of Quran.If someone really wants to understand Quran he has to first understand the life of Holy Prophet(peace be upon him),without that one will always remain misguided. All the famous religious Imams/scholars who gave any fatwa during their life time always said that if our fatwa or decree contradicts Quran and Sunnah, just throw it away. @Umer: ‘You can interpret literal words in any way’. This statement alone is quite true. Tariq’s obsession with sexual aspect of life led him into believing that this is a sacral thing is Islam. A Muslim’s life is ‘bathed’ in it. Now we know that it has a religious importance to it.. It is sadaqah between husband and wife. But a Muslim’s life is not bathed in it. As i have stated in an earlier post that whoever over does this or any act that keeps him away from Allah is a fitnah. I do not believe he had any questions regarding Islam. Or any person who has resorted to demeaning Islam in illogical books. A predetermined mind is not open to accept opposing views even if they make sense. On may say in books, if their questions are not answered satisfactorily by any of the Ulema that, “I was never given any answer for the questions that i posed to them that could satisfy my curiosity or whatever”, instead of saying a religion is hypocritical. People like Tariq are hypocritical, who say that even though his parents were also atheists they still forced him to receive Islamic knowledge. Lastly, no ‘Aalim has the right to distort any part of Islam. No One can add or deduct or change any part of it, whatever the reason may be of doing so. Whoever does so is out of the pale of Islam. That’s the matter of interpretation. You can interpret literal words in any way. Let’s take a specific case. A person has certain questions about religion. He goes to scholars to clarify his reservations but they fail to do so. Now he writes a book about scholars failing to provide him any help and about the problems with religion, but he remains within the limits o decency and even respect. Do you think this should be allowed? If religion is opposed and exploited for fame and money, quite similar behavior is shown by the clergy for fulfill their petty desires. The masses are always the same, you can mould them in any direction! @Shakir Lakhani: He does not quote anything explicitly from the Qur’an. He refers to some poems, a book written by Al-Nafzawi ‘Th Perfumed Garden’ and some unknown tradition that he attribute to Ali r.a. Even though the comparison is irrelevant yet he is wrong in stating that a woman is not allowed to take part in the society, in Islam. Islam gives women a very special role in society. In fact, she plays a very important role in shaping the society. Att. Momina:”His prime complaint is that an unmarried girl is told to guard her chastity but a married woman is told that she should also take the initiative in sexual intimacy with her husband.” Where did this guy read this? @Umer: You are right in a specific way. I really do not think these people oppose a religion on rational grounds, i.e. as you said according to what they consider rationality. Usually if a person has some questions regarding certain aspects of a religion that he/she considers inappropriate, he/she may want to inquire about it, have debates with the Scholars of the religion and so on. If Salman Rushdie had had any problem in understanding almost all parts of the Qur’an he should have tried to find out the truth instead of writing the book ‘Satanic Verses’. For example, Yusuf Estes was a strong opponent of Islam. He considered all Muslims to be products of terrorism, you know, the usual. But he did not go about writing book and making documentaries making fun of Islam. Islam encourages dialogue. Alhumdulillah, the light was shown to him by Allah (SWT). As this was just a blog article so I could not go into much details. If the background of each of the individuals in studied one would realise the opportunist nature of each and very one of the people mentioned above. The stand that they have resorted to just shows that they are not open to any rational dialogue. Rest, Allah (SWT) is Most Merciful and Master of the worlds, if He wants He can guide them. Anyway, here I was just concentrating on the exploitation of religion for fame. Basically, all religions. I agree cent percent with the last couple of paragraphs. With the rest, I have certain disagreements. First of all, it’s not that ONLY someone’s specific mundane desires urge him on blasphemy (this word itself needs broader definition). The world we live in, it may be right that many people do it for wealth and fame (some of the examples you quoted above), but I believe a person who opposes the religious dogmas on rational (religious people may not agree with his/her rationality) grounds, should be heard and debated with peacefully. I have to say this that majority f the Muslims propel their behavior on the sermons and instructions of the religious clergy, which in majority of the cases, leans towards extremism (Lack of education being the corner stone of third wold societies). As for blasphemy and it’s relation with free speech, again, I believe a person who talks against the religious dogmas should not be condemned. However, any person who takes it to extreme and tends to propagate violence and hatred should be dealt with in the same way as the opponents of Holocaust are.